I've known Taylor forever, and I really mean forever. Our families are dear old friends, and we have a longstanding tradition of trout fishing at Lake Taneycomo over Labor Day weekend. When I found out Taylor was going to have a baby, I couldn't have been more excited for her! And doesn't she just make the cutest little pregnant gal? You wouldn't believe it, but she was full term during her maternity session. In fact, she had baby Emoree that next week. Emoree is now 7 days old, and I absolutely can't wait to meet her. I feel so lucky to be a part of one of the most important times in Taylor's life. Enjoy the photos! Thank you for visiting Erin Stubblefield Weddings and Portraiture's blog. 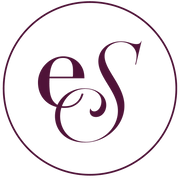 ESWP is an award-winning photography studio based in St. Louis Missouri, owned and operated by seasoned photojournalist Erin Stubblefield. Enjoy Taylor's Forest Park maternity session, and feel free to browse other lifestyle sessions photographed and curated by ESWP. To inquire about booking with St. Louis photographer, Erin Stubblefield, please use the email form under the ABOUT or INVESTMENT tab.